Family holidays sometimes seem more stressful than they are worth, when togetherness translates into torment and your life savings disappear trying to keep everyone entertained. But have you ever considered escaping to a farm? Farm stays are proving popular with families wanting to escape their daily routines for an outdoor adventure different to anything else they’ve experienced. Children can burn their energy running in the open spaces, learn how to milk a cow, collect eggs for breakfast straight from the chook pen, and maybe even ride a horse. Farm stays can also be more budget-friendly. Australia’s vast and varied landscape also means every state has something unique to add to the experience. From a dusty cattle station at the top end of the Northern Territory to a lush apple orchard at the southern end of Tasmania, no two farm stays are the same. 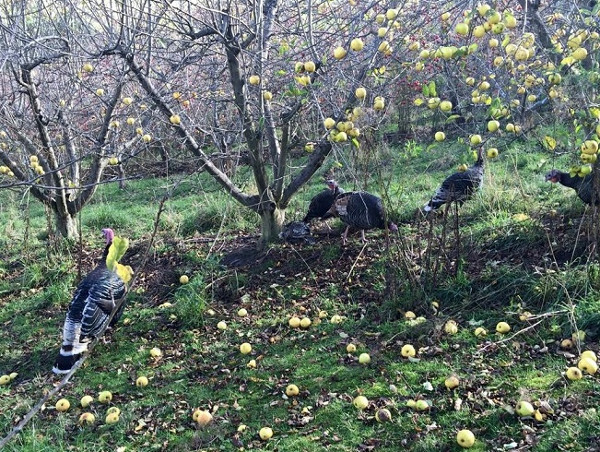 The market competition from imported apples inspired Eden Orchard owners Jo and Matthew Hall to open their slice of paradise in Cygnet, part of the Huon Valley in Southern Tasmania, to visitors about six years ago. As well as picking apples (seasonally from March to May), families visiting Eden Farm Stay can also dig for potatoes and forage for blackberries. 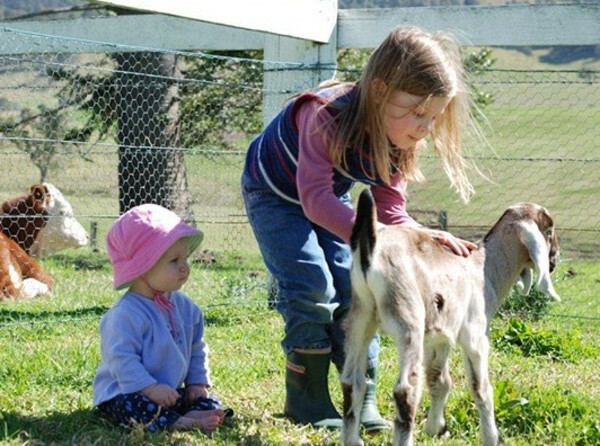 Daily animal tours are held in the afternoon where children and the young-at-heart can collect eggs and hand feed goats, alpacas, pigs, geese, turkeys and cows. 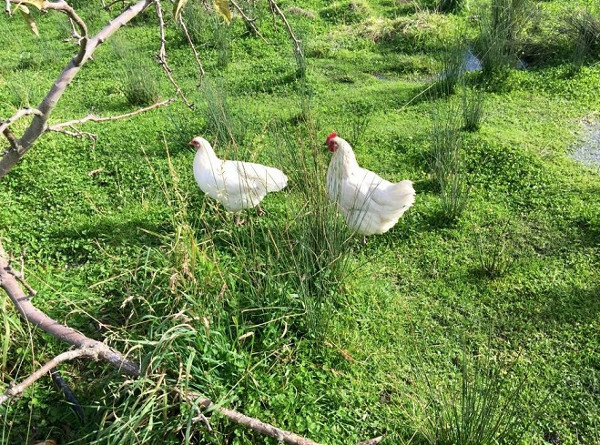 While not everyone has experienced the finer points of farm life before, Jo says she is surprised by some of the things guests say they never knew before visiting the farm. “Some people who come during winter see the trees are all bare and think we have all dead trees on the property; many have never heard of deciduous trees,” Jo says. Jo says she loves seeing children experience farm life for the first time. “I think that is the nicest part about it because you have so much interaction with your guests, and there are a lot of things for them to do here,” she says. Jo says the farm’s central location also makes it ideal for families who want to use it as a base as they explore other parts of the Apple Isle. Gayle Hollingsworth started Ashmar Farmstay in NSW with husband, Ian more than 20 years ago, transforming a long dormant property into an award-winning tourist destination. As well as getting to see behind-the-scenes of a working Hereford stud farm, families can milk cows and spend time with the many smaller animals from miniature ponies, rabbits, lambs, chickens and ducks. There are also daily hay rides and personal tours run by Ian. “I think my favourite part is seeing the children’s eyes really light up when they try something like milking a cow for the first time,” Gayle says. Gayle says almost all the guests, the majority of which are young families, become repeat visitors. “Some of them really do become like family, which makes it hard to charge for but it is the farm stays that really keep the farm going,” Gayle says. If it’s old-fashioned bush hospitality you are after then farm stays like Coodardie Station in the Northern Territory is for you. Run by Clair and Mike O’Brien, they view their guests as extended family. “We have dirt and animals, open spaces, fresh air and home cooked meals,” Clair says. Clair’s daughter Moira offers a glimpse of what to expect on Facebook. Clair says guests can get as involved as they want in hands-on farm work. “Some kids learn to drive, have actual mum and dad concentration time – it’s good bonding time and good down time,” Clair says. The farm stay is set on 5000 acres about 10 kilometres from Mataranka. If guests want a swim, they are directed to the Mataranka thermal pool provided by nature. “Why install a pool when nature provides?” Clair says. Whether you want a farm stay not too far from from your home state or you’re happy to travel, Australia has plenty to offer.